OPEN ON our protagonist exiting a plane at an airport clearly identified as Miami due to the preponderance of inappropriately dressed seniors. CUT TO iPhone screen. Multiple voicemails and texts start registering, clearly someone is trying to get hold of our protagonist. CUT TO our protagonist making a call. Hello? Its me. What’s up? CUT TO A movie post production studio. The post production supervisor is on his mobile, behind him on the other side of a sound proof window, there’s a fist fight. Thank god you called. You’re the only person I know that is in anyway connected to the art world. I’m working on the last scene of this movie. Its pivotal. Shot in an art gallery, the heroes are discussing buying a painting with their ill-gotten gains. There’s maybe half-a-dozen paintings in the scene and we don’t have permission to use them. We can’t reshoot! Is there anywhere I can get hold of some high-resolution, free use, recognizable, digital works of art? Right this minute? We can perform some VFX magic and save the film. Just another day in the life of the Getty’s recently-launched Open Content Program. The movie was or is American Hustle and this is the link I sent, which provides a current list of our open content images, over 10,000. 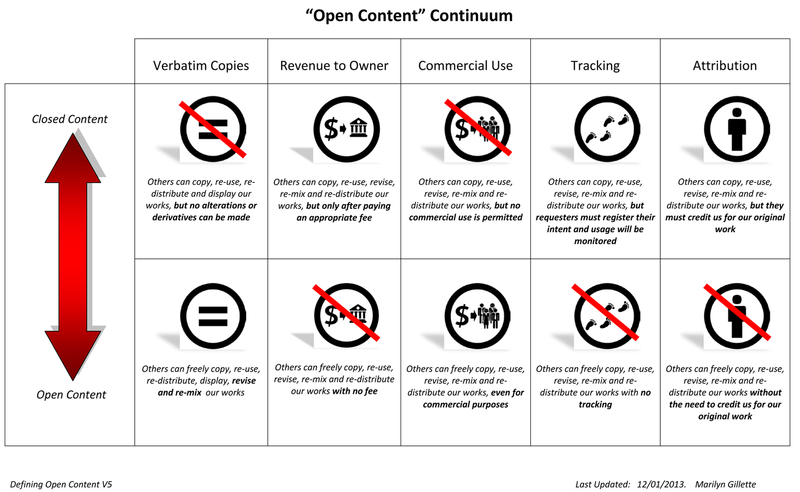 Why open content? Why now? The Getty was founded on the conviction that understanding art makes the world a better place, and sharing our digital resources is the natural extension of that belief. This move is also an educational imperative. Artists, students, teachers, writers, and countless others rely on artwork images to learn, tell stories, exchange ideas, and feed their own creativity. In its discussion of open content, the  Horizon Report, Museum Edition stated that “it is now the mark—and social responsibility—of world-class institutions to develop and share free cultural and educational resources.” I agree wholeheartedly. I’ve had many discussions with folks about our program and largely they are interested in how we got to the final decision. As they ask their questions I see them mentally stepping through the conversation at their own institution, their lips purse and their brow furrows. Like any good Hollywood movie (alright, that’s an oxymoron, but you have to admit its a great segue), we’ve been writing our Open Content script for at least a decade, which is why the characterisation of this as “an idea who’s time has come” is spot on. The conversation started when we had a Executive Director level position overseeing digital stuff. Even that wasn’t enough to start releasing open content images, there was too much weight behind the, at the time, prevailing idea that we need to protect our intellectual property, not least the revenue we receive from licensing. But times are changing. Licensing fees are diminishing thanks to the web, and people are willing to compromise on something that’s not quite what they want, but free. So our revised conversation was exactly that: that times are changing and we need to lead the change, a clear directive from executive leadership that this was going to happen. But we still needed to step through the conversation and that required a framework because its a complicated conversation and it needs simplifying. Separating out the discussions in this way made for a much simpler set of conversations and allows one to independently pick a stance on a particular issue, which can evolve over time, as comfort with the initiative grows. Folks often focus on the issue of revenue, which is important but this is a mission-driven initiative and how many of us are making any real money from licensing? How many of us are even covering our costs? The Getty is fortunate enough not to have to rely on this revenue, but if an institution is not making any real money from its images and makes them freely available, and someone figures out how to make money from them – just hire that person, if they’re that good, they’ll pay for themselves. With the issue of requiring revenue gone and a guiding principle of simplicity in how we would administer the program, the most fascinating thing for me was how quickly other arguments fell apart, became nonsensical or just too difficult to police. The issue of Commercial Use is a good one which quickly became overly complex and nonsensical, for example, if a non-profit uses our image for fundraising, is that commercial use? If it is, how do we track that? What is it that we’re really concerned about? If its the lost revenue, umm, didn’t we just made a decision that we don’t care about the revenue? The issue of us not requiring Attribution seemed to cause some confusion, why wouldn’t we want our name associated with our images? Simple: there are some strange people out there who may want to do some strange things with our images, we don’t want you to think that we are endorsing that use. Other questions I’ve had about the program center around the cost to launch it, there’s no way to answer that. We were able to do it because the framework and architecture is in place to be able to do it and our Imaging, Collections Information and Access, Curators and Registrars and others have been doing their jobs for the last eleventeen years. Yes, there was a crunch to get the program launched, but it wouldn’t have happened without all the “prep work”, you can’t go immediately from zero to scale in this endeavour. We have excellent photography, we have systems in place to manage assets, embed metadata and deploy, and we have a platform to disseminate – systems and processes that allow us to operate at scale. In terms of numbers, since August 2013, we’ve settled down to about 3,000 downloads a week – not too shabby. Ultimately the decision boils down to a few questions and a single answer: What’s a leadership position? What do audiences want? What’s the simplest way do it? Answer? Open up the spigot and get out of the way.